Taylor Ave. and Oakleigh Rd. MTA: Loch Raven Blvd. and Taylor Ave.
We have a Sports Bar & Lounge complete with huge HD tvs including our 92 inch HD screen, private booths, pool tables, arcade and trivia games, on-line jukebox, Keno, Racetrax, and more! Let Pappas host your next formal affair from anniversaries to weddings, holiday parties to retirement parties, and everything in-between. Pappas will provide on-premises accommodations for up to 180 people. Open 7 days-a-week, our friendly, hard-working staff will make your next party one the guests will never forget. We offer sit down luncheons or dinners to suit your taste and budget. Call today for more information or to book your next event! We specialize in after-funeral gatherings. Planning a private party? We have the perfect room to accommodate your special occasion(20-180 People). We are fully handicap accessible. Call today to have a Private Dining Menu sent to you right away! 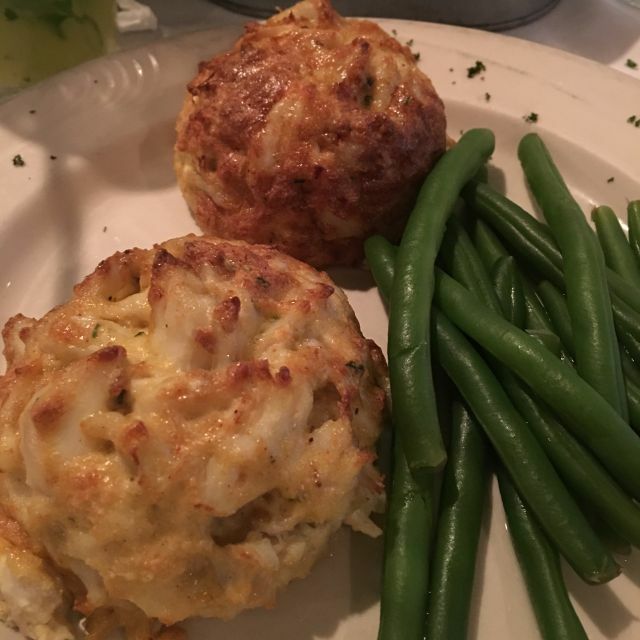 When you want an amazing crab cake, one you can brag to family and friends about, the best Maryland has to offer, then come in for Pappas" seven-ounce colossal lump crab cake. 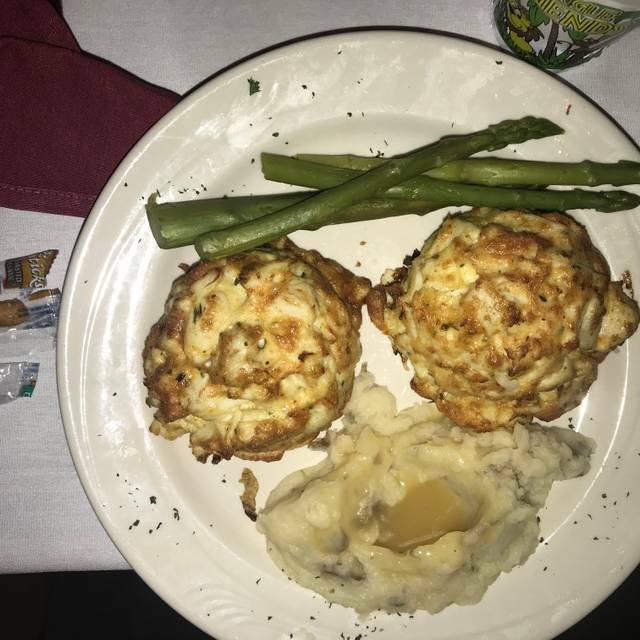 Find out why Pappas' signature dish has won award after award from Baltimore's Best to Baltimore Magazine's Top Crab Cake, and why it was featured on the Food Network's Chef vs City and the Travel Channel & 98 Rock's Food Wars. 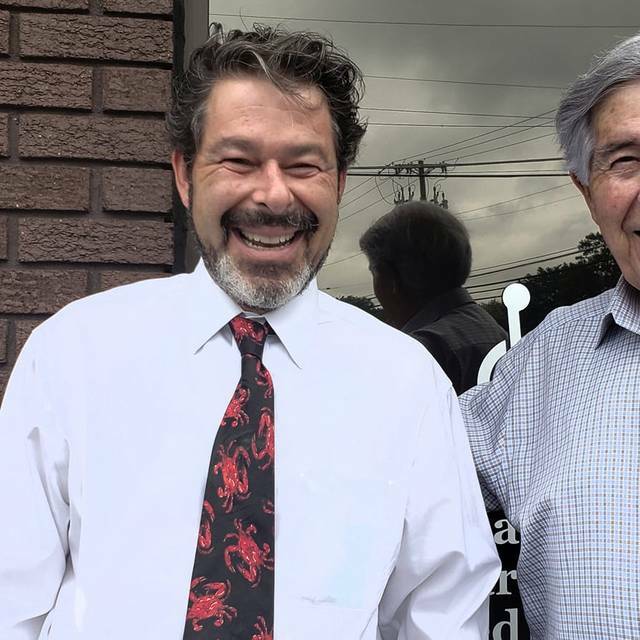 Family owned and operated since 1972, owner Mark Pappas prides himself on not only offering the best crab cake in Baltimore, but also the finest, freshest seafood, steaks, and pasta dishes around. Every sauce, soup and dressing is made from scratch. Pappas welcomes families and large groups. We have a great children's menu with lots of tempting options for the kiddos. 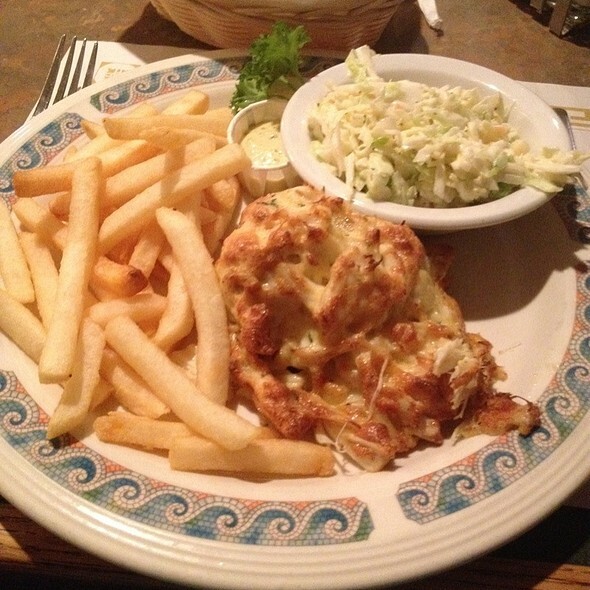 Pappas Restaurant is fully handicap accessible, and only a stone's throw away from the Beltway, minutes from Towson. 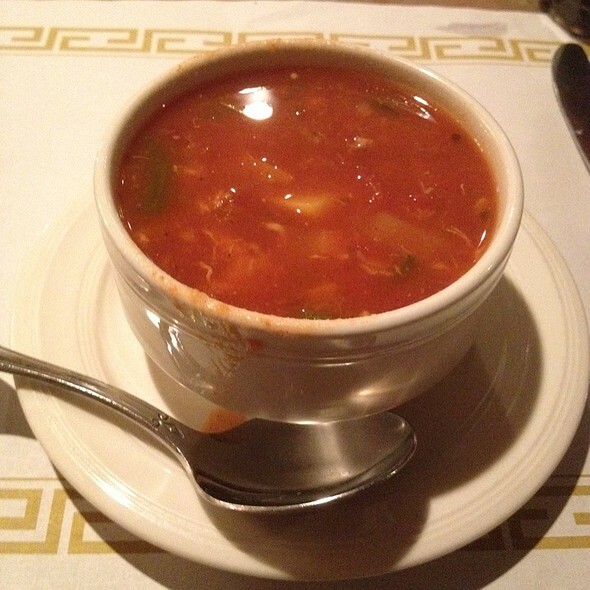 Make reservations or call ahead for express carry! Our on-premises Liquor Store is open 7 days-a-week. 8-oz. of Certified Angus Beef served with lettuce, tomato, and fries Substitute a veggie burger for any beef burger! Served with sautéed onions and Pappas' special seasoning. One pound of steamed shrimp with onions, seafood seasoning and lemon, served with cocktail sauce – perfect for sharing! Get it Stuffed with Crab Imperial! Two of the most tender chops, rubbed with Montreal spice rub and grilled to perfection – a crowd favorite! I’m never disappointed when I come to Pappas of Parkville! The crab cakes are consistently delicious. The shrimp cocktail was also very tasty. I had the Mezcalita Margarita. If you don’t want sweet, this is perfect. A bit smoky cilantros flavor with pineapple. Our server was very attentive and pleasant. Our table was cleared of used plates in a timely manor. The atmosphere was relaxing. 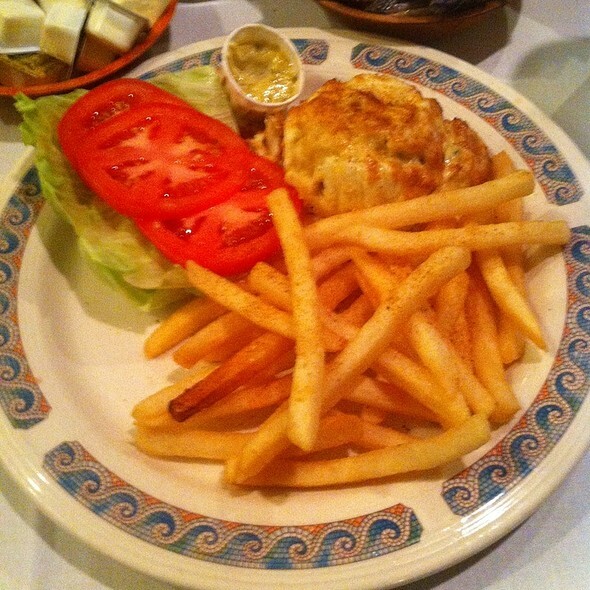 This is our go to for the best crab cakes in town! I have lived in the Baltimore area for 19 years and had never been to Pappas. It's a shame, because they have the best crabcakes I've ever tasted! I would suggest that if you're ever in Baltimore & want the best cakes around... Pappas! Food was great! Our server Nick was wonderful! Two thumbs up! No doubt we'll be back!!!! 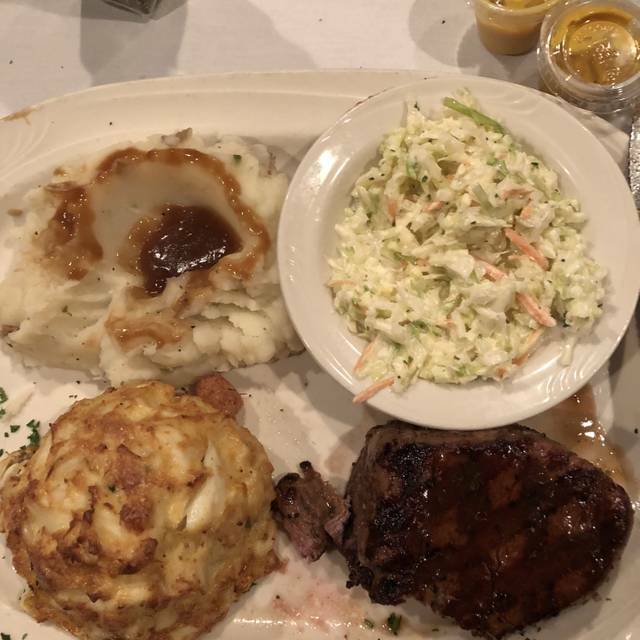 Pappas is always our #1 place to go for the BEST of the BEST crabcakes, Chicken Chesapeake all types of seafood, and they can still grill a mean burger!! LOVE THIS PLACE!! The crab cakes were outstanding. I get great service every time I go there. I think Nick was our waiter, he was excellent. I loved the relaxed feel of this place. The food was delicious and the service was excellent. I like the comfortable, retro vibe of a neighborhood restaurant. Our family had lunch on a Saturday. The casual atmosphere suited us. A huge criticism from of this restaurant is their inability to accommodate gluten allergies. This is the second time in 3 months that we’ve dined at the Parkville location while visiting a relative at a nearby senior residence. The wait staff doesn’t seem to understand gluten free. (My salad came with croutons on top, as one example, even though the server wrote gluten free on our order.) Though the Cockeysville location of Pappas advertises gluten free crab cakes, this location does not serve them. Sorry to say, Pappas is now off our list of restaurants. Always a wonderful time when I visited purpose! 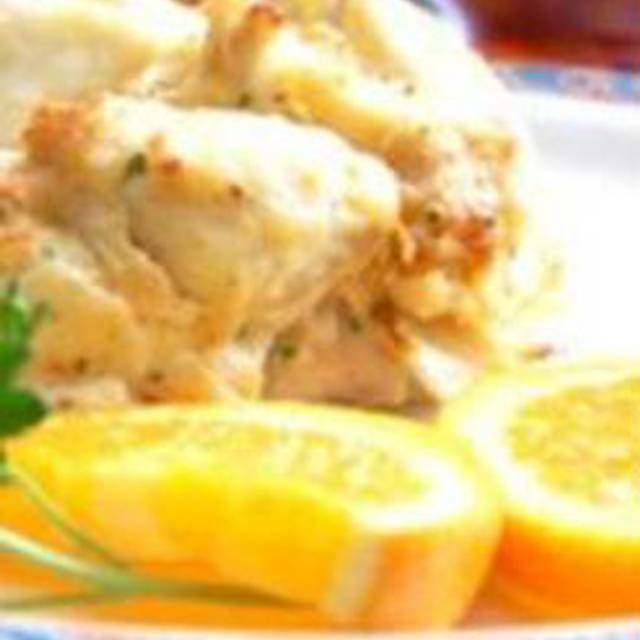 Crabcakes are outstanding, the staff is very welcoming. We usually have a wonderful time. My husband's food was cold. Our waitress did tell the manager and 20% was deducted. However, we hardly saw our waitress. I had to ask another server for a drink refill. When I say THE worst service ever!!!! Soooo you take my order and never come back until the food was ready. Then you bring the food to the table didn't bother to ask if we needed anything (cocktail sauce, more water) absolutely nothing. So my water glass sat empty all night, by the time I had another server find you to bring cocktail sauce, my crab cake was ice cold. Smdh. Won’t be going back. The food was outstanding and reasonably priced. Was disappointed they were out of baked potatoes. Highly recommended! It was a great first time experience and looking forward to having more events in the future! Always prefer this restaurant. Rachel did a great job serving us. Be back again soon! Old fashioned atmosphere which I liked. The servers were super nice. They put delicious homemade pickles on the table as soon as we got there. We all got crab cakes and they were the best and biggest crab cakes I ever had. $20 for a huge crab cake and two sides. Great place! The food and service was excellent. The waiter continued to check on us and top off our beverages. Pappas provided a wonderful atmosphere for our birthday celebration. We were provided with attentive professional service and delicious food! A fabulous time was had by all! Seafood lovers won't be disappointed with generous portions and well prepared dishes. Old school. Nothing nouveau. But consistent. We were very happy with our dining experience. The greeter was very friendly and, since we were early, allowed us to choose our table. Our server was attentive without being overbearing. The food was excellent. The crab cake lived up to its reputation. Great little place. We go there yearly on our anniversary. Food was great, service was excellent, and we enjoyed our time there. The crab cake was excellent with plenty of lump back fin. The service was very prompt and polite. Although the food was quite enjoyable, the service for the food took over 50 min. They said it was due to a busy night. They could have apologized for the wait. My wife was very upset. They did take our bar tab off the bill for our inconvenience. We will not be returning to this establishment was quite some time. overall a great night. food was fantastic, but the room was a little cold. I had to keep my coat on all night. We had a reservation for a certain time and they did not seat us for 30minutes. We had to ask what was going on before they actually sat us. They tried to say we were waiting on people from our party but we were all there at the time we reserved. Then the person sitting us had an attitude about it. We were then put at a table too small for the amount of people we had. They also kept saying the kitchen was backed up and they were backed up on salads (they were cutting lettuce as we spoke). The food was ok but did not live up to its reputation and was definitely not worth the price. I would not recommend this place at all. The only good part was our waiter. Cold soup, waited too long for appetizer, waiter non attentive. Absolutely horrendous!! We waited nearly two hours for our food to come out only to be told the kitchen was busy and couldn’t keep up because the kitchen is “so small”. $34 for a seafood platter that was totally dried out and missing items. The only item that was half way decent was my daughters cheeseburger. We’ve been coming for years and I’m sad to say you’ve lost a very loyal customer. I think it might be time to put your money in updating your kitchen especially if your going to charge $34 for a measly meal that I think my nine year old could have cooked better. This was our second time there. The first time, we got the crab cake platters and they were excellent. This time we got the fried oysters which were so-so at best, an Italian dish ( penne pasta?) which came in a watery tomato sauce, the rockfish with crabmeat which was just ok and a seafood club which was very good. If we go again, we’ll stick with the crab cakes. Four slices of veal was less then the size of my palm, not breaded and 4 plain pieces of shrimp. Sauce on side was smart move because it would have made up the entire dish. Not at all worth $29.00. Barefoot Merlot was very good. And only $7.00. 1st time here. Will probably come back and try crab cake for $19.99. Great crab cake. 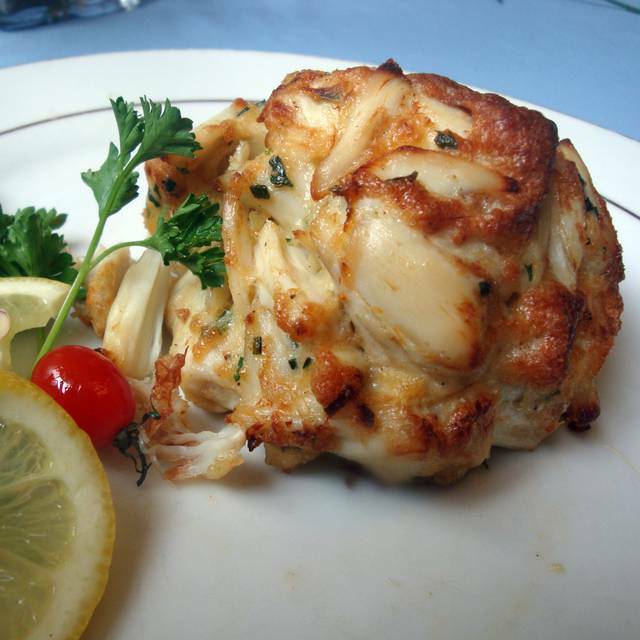 Best crab cake in Maryland and, perhaps best crab cake in the country. I was greeted nicely, the waiter was not very warm, he did not give us all of the lunch specials. We came there for the famous crab cakes and he did not mention the luncheon special about the crab cakes until I mentioned it to him and I thought that was a little weird. Other than that the experience was good. The crab cakes are not better than Koco’s!!! I guess that’s why it pays NOT to cheat on your first love!!! Good food in great surroundings. Second time eating here. Pleasantly surprised with bill. Had a 5:00 p.m. reservation, didn't get seated until 5:35. Food was delicious, service was okay (waiter never came back to check on how our food was), thankfully it was delicious. Other than taking our order (someone else brought out our food), the next time we saw the waiter is when we flagged him down for the check. We have always been happy with the quality of food at Pappas, Parkville. They truly do have the best crab cakes you could ever imagine!